Today is of course the start of the Olympics. Greeted with much joy and I can't wait for the ensuing weeks of first class sport. 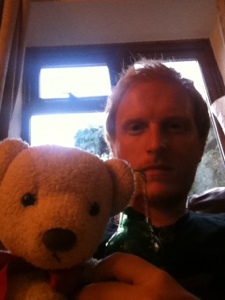 Therefore the ceremony is about to begin, I'm sitting down with family, a takeaway and a beer along with Ted. We've even let eldest daughter stay up late to watch the ceremony, and the lightning of the torch that we saw a few weeks ago. 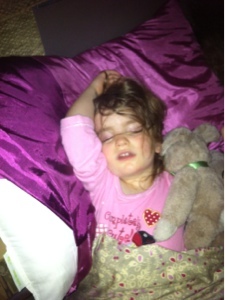 Unfortunately she feel asleep 20 minutes before the torch was lit. Anyway c'mon Team GB !!! !